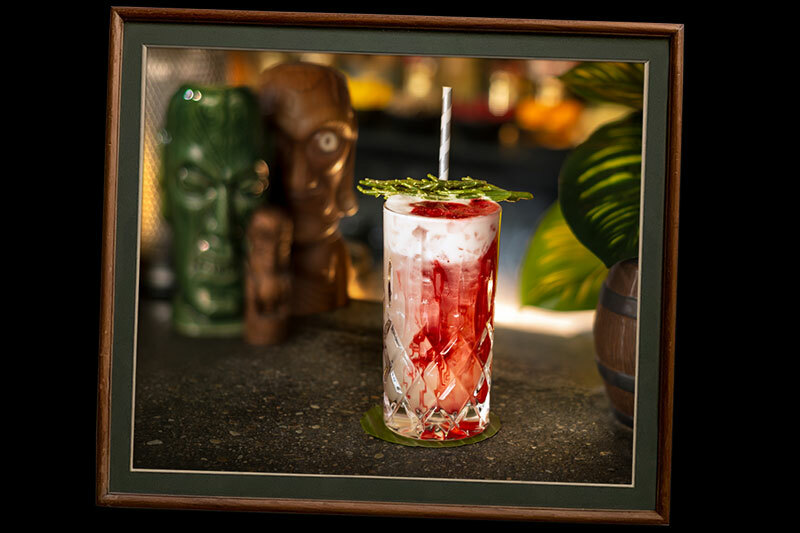 We have great affection for rum, rum-based cocktails and Polynesian pop culture. 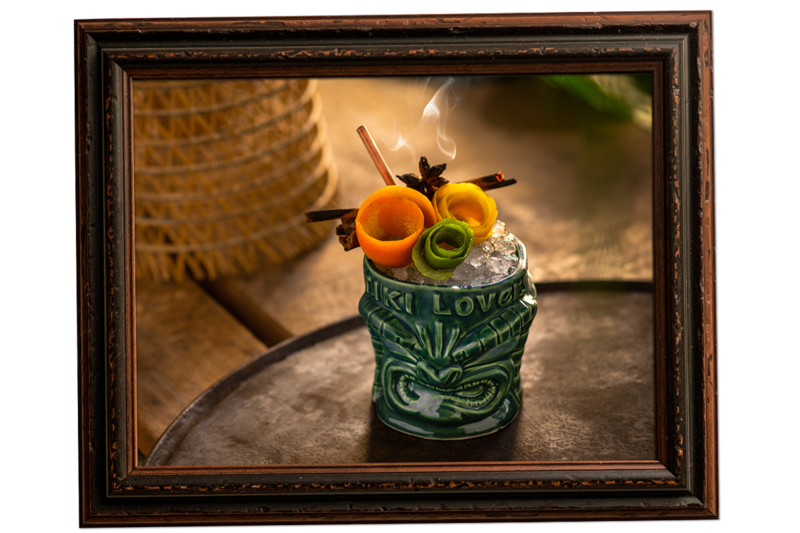 Therefore we had to create the TIKI LOVERS range – choosing the best rums from the Caribbean for the ultimate taste experience. 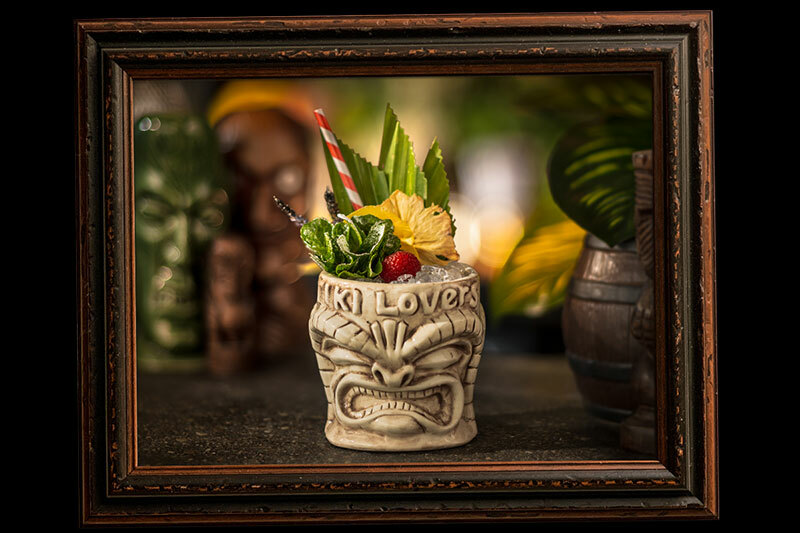 TIKI LOVERS Rums are inspired by the heritage of mixing tropical drinks and the Polynesian-Angloamerican mixed influences on art and literature. 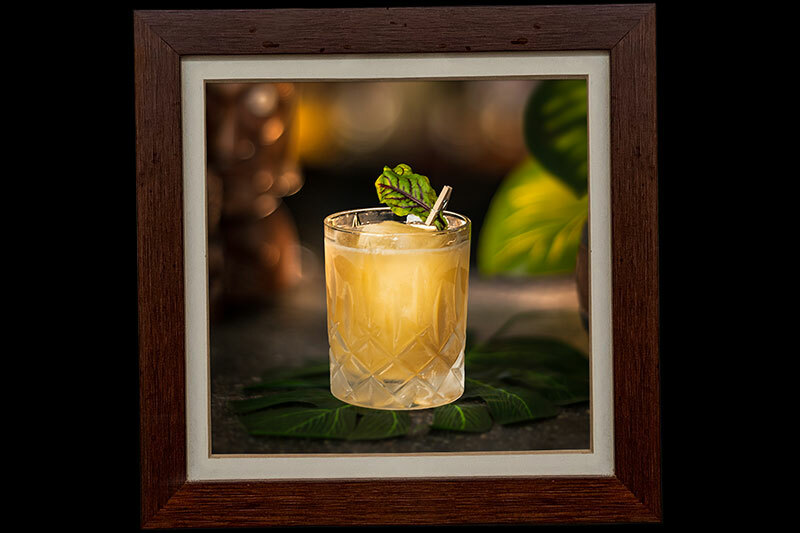 With their confident character our range of blended rums is ideal for use in Tiki cocktails. 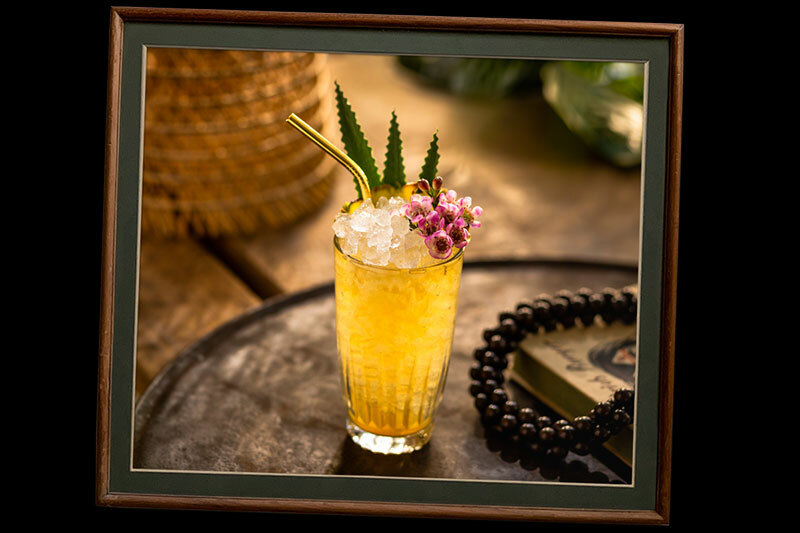 High quality, flavourful rums to truly improve famous tropical drinks like the Mai Tai, Daiquiri, Rum Punch etc., with excellent, intense base spirits, but at sensible pouring costs. 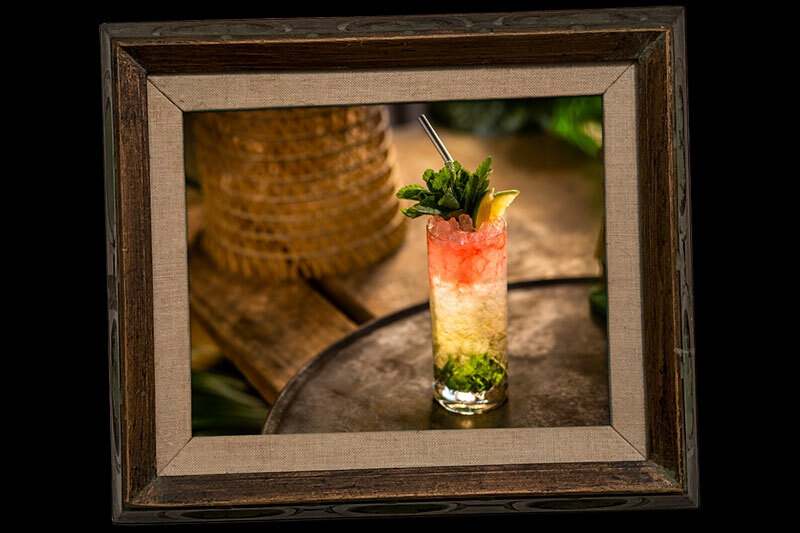 But not just for Tiki drinks or tropical cocktails, any rum-based drink will taste better with TIKI LOVERS Rum. 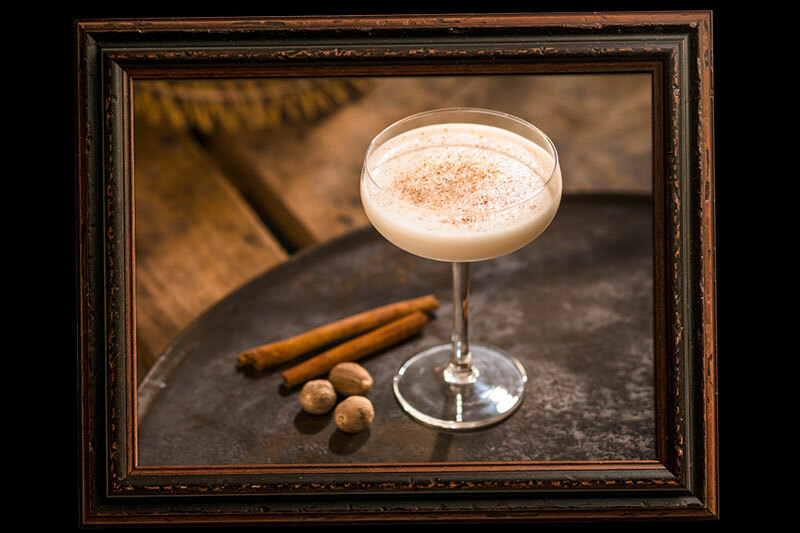 We love rum – you will taste it. Shake all ingredients over ice and strain into fancy container. Garnish with pineapple and grated nutmeg. Place the mint at the buttom of a tall glass and carefully break the leafs and stems to release the oils. Add crushed ice and add all other ingredients (except bitters) and swizzle well. Sprinkle the bitters on top to create a 3 layer experience and garnish fancy. Place mint and sugar in a tin cup or tall glass and carefully crush the mint. Add crushed ice and all other ingredients and swizzle well until the container catches frost on the outside. Garnish with mint sprig and powdered sugar. Blend all the ingredients except from the beetroot. Strain into a long drink glass, fill with crushed ice and float the beetroot juice. Garnish with seaweed sea salt. Shake all the ingredients with ice and strain into cocktail glass. Shake all the ingredients. Strain into a chilled tumbler on a big ice cube. Garnish with a leaf of bloody dock. Melt butter in a pot over medium heat and blend in Muscovado sugar. Pour in a mug, add butter sugar mix, then fill up with boiling water. Garnish with a cinnamon stick and star anise. Heat the water over a low heat with the spices, peel and bitters. Bring to a gentle simmer. 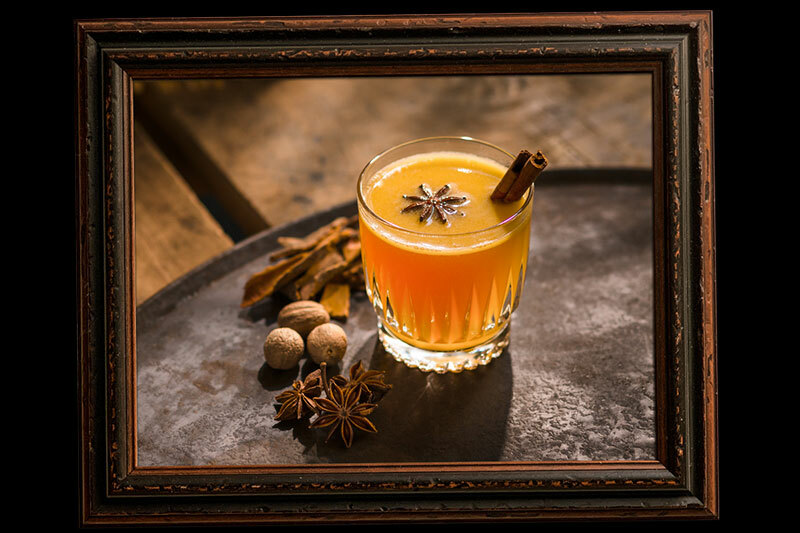 Pour the rum into a heat save glass and pour over hot water and spices. Stir in the honey and lemon juice and adjust sweetness to your liking. Grate nutmeg on top. Put the sugar, batter, spices and orange peels in a preheated, heat-proof glass or mug, add the coffee, and stir it until the batter dissolves. 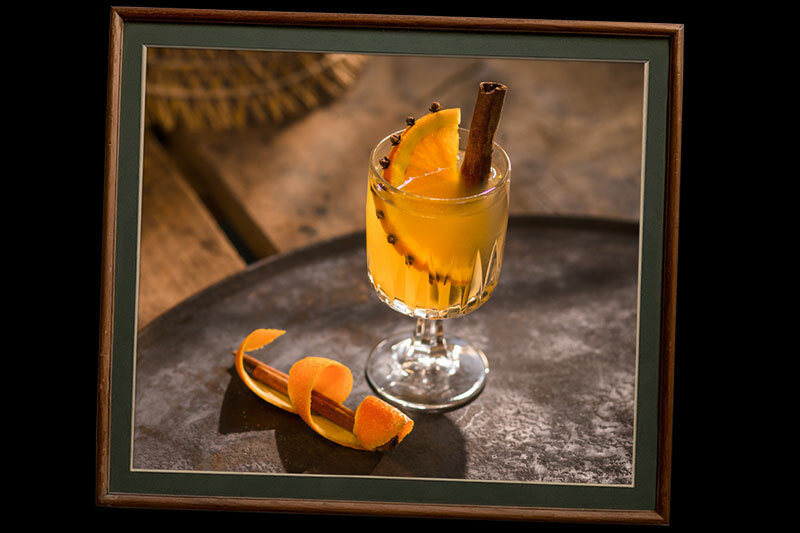 Place the rums in a fireproof ladle, carefully ignite with a match. Then pour the flaming rum into the glass. Garnish with a cinnamon stick. Combine 30 ml (1 oz.) of softened sweet unsalted butter, 30 ml (1 oz.) of honey with a teaspoon of vanilla syrup, ½ a teaspoon of The Bitter Truth Pimento Dram and 1 teaspoon of cinnamon syrup. Makes 18 servings. 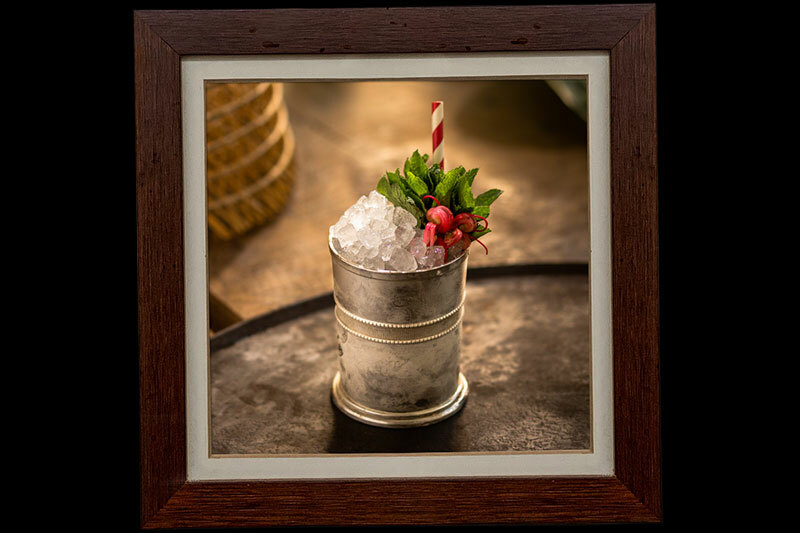 Shake with ice and strain into glass filled with crushed ice and decorate with garnish that will raise the dead. Strain into a long drink glass, filled with ice. Shake all the ingredients with ice and strain in rock glass filled with ice. 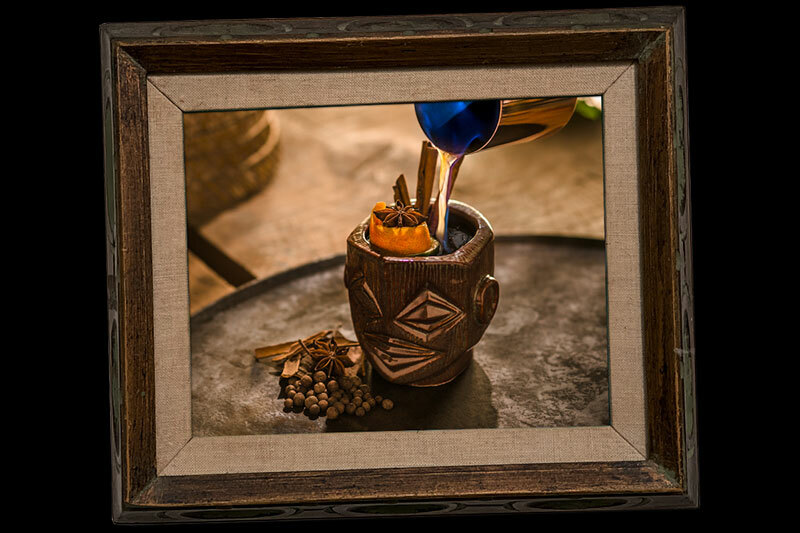 Strain into a tiki mug, fill with crushed ice. 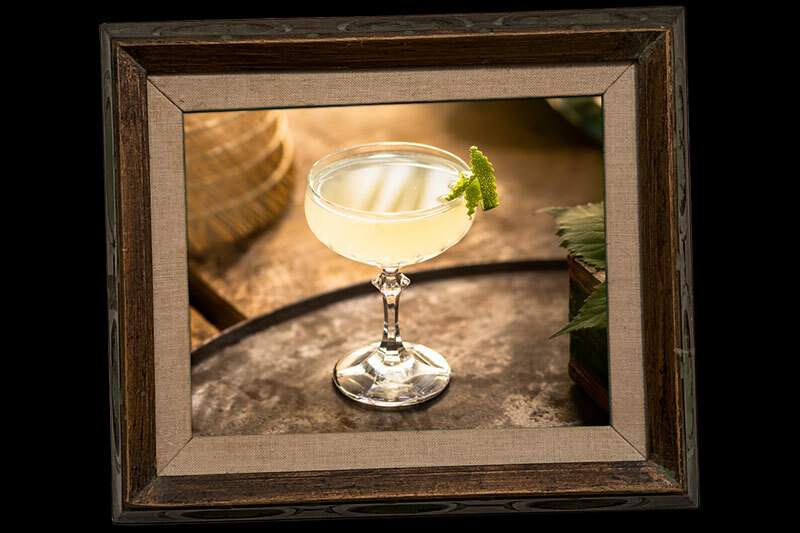 Garnish it with dried pineapple, mint and pandan leaves. 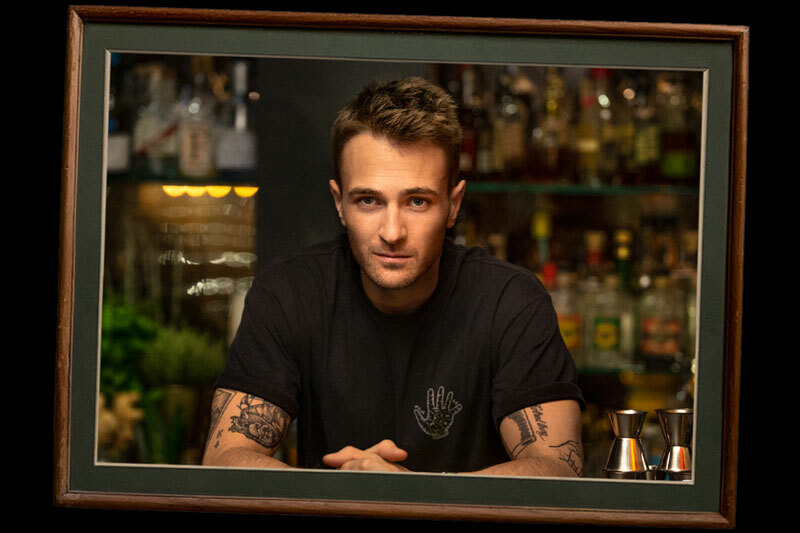 This handsome man is an amazingly creative and charming bartender at several of Munich’s cocktail hotspots like award winning Zephyr Bar and Ory Bar at Mandarin Oriental Hotel. 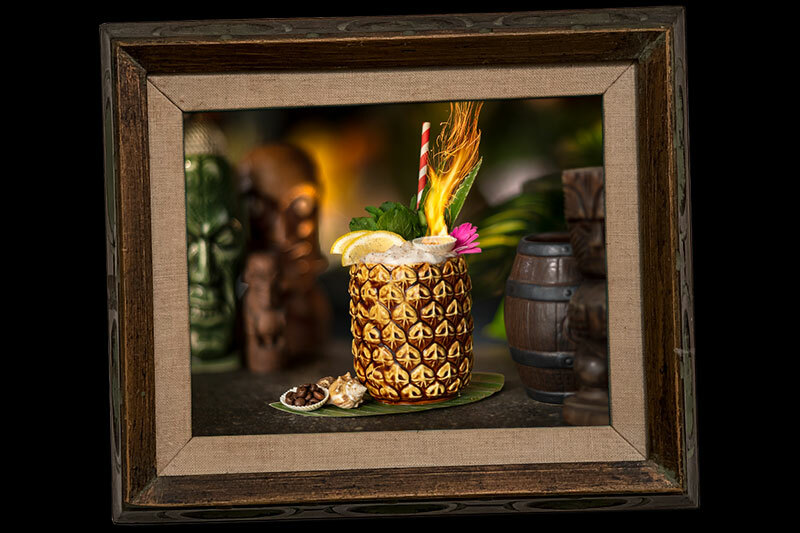 His talent for complex aromas and his strong garnish game make him a natural Tiki Lover. …is the adventurous Alter Ego of filmmaker and rum lover Jochen Hirschfeld. 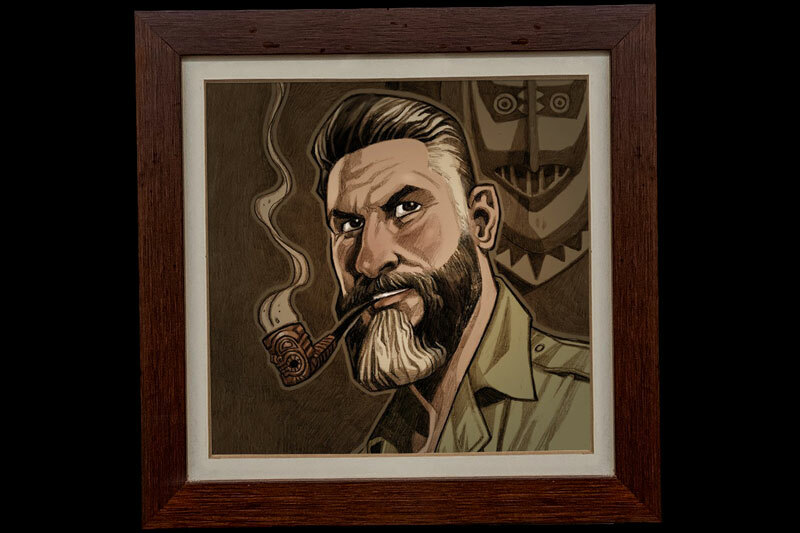 He is part of the earlier Tiki revival at the turn of the century and started a documentary on the subject in 2004 (www.dvdoftiki.com).